Do you or someone you know need a job? 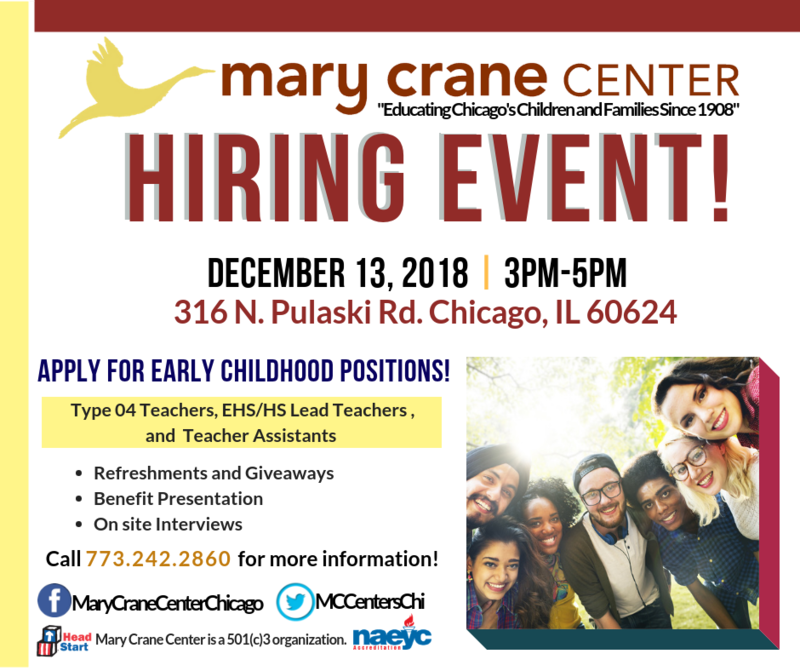 Do you have an Early Childhood Education Degree , Type 04 Certification, Social Work Degree or have a Child Development Associates Credential? *Follow the link below to RSVP! Interviews on site, meet staff from our four locations, and learn about benefits. Call us at 773.242.2860 for more information!